Gone are the days where all a doctor needed to do to be successful is set up shop. Today’s medical professionals need to be wary of the ways they can engage with new potential patients and how patients can find out about them. We’re going to take a look at the reasons why doctors need to understand the principles of digital marketing. By understanding and implementing these ideas and principles when you’re setting up your practice, you can ensure you’ll never be short on patients. And what’s the point of opening a practice if no one in the world knows about it? Well, while this might not seem like the sort of area you’ll ever have to address when you’re setting up your medical practice, there are a couple of really good reasons for doing so. 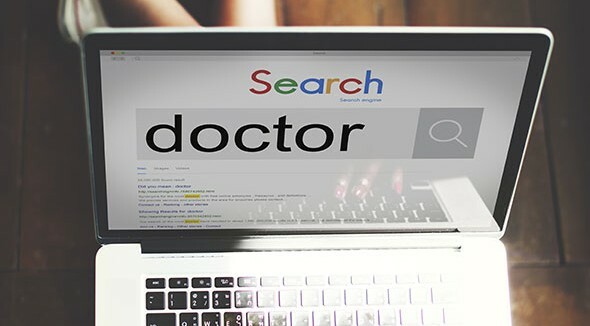 Increasingly, patients looking to find a doctor are trawling through social media channels to find comments from real patients and on the basis of this make their decision about which doctor they will choose. So if you’re using Facebook, Twitter, Instagram and other social media channels, and taking the right amount of time to engage with past clients and potential new ones, you’re going a long way to getting your brand out there, and creating an effective level of word of mouth which can be the most effective way of getting real results in terms of spreading the brand of your practice. There is a fine line to be trodden, and you don’t want to spend hours trying to make a diagnosis on a Twitter feed, but by engaging with your patients through these channels and implementing the principles of digital marketing when you’re initially setting up your practice, it will be so much easier to keep track of patients, learn more about the people you’re working with, get in touch with new patients and ultimately secure the success of your medical practice. This is perhaps the most crucial part of your digital marketing strategy when you’re setting up a business and in many ways it should be the primary focus of your campaign. SEO is all about search rankings and implementing the principles of SEO when you’re setting up your online presence which makes it easier for people to learn about your business. When people are trying to find services like medical professionals, these days, instead of a phone book they’re first port of call is probably going to be a search engine. By implementing a keyword strategy, including local SEO to funnel in prospective customers from areas that are close to you, you can create an integrated, targeted digital marketing strategy that will make it much easier for potential patients to find your practice. Good SEO is the cornerstone of any digital marketing strategy and by putting these principles first and foremost when you’re setting up your business you can be confident that you will get good results. Social media should also be an important part of your digital marketing campaign and effective use of this medium can have people talking about your practice for all the right reasons. Facebook for example, lets businesses, organisations and events deliver targeted ads based on their relevancy, which can get your practice straight in front of the eyes of potential patients. Social advertisements are a great way to ensure you advertising spend is getting results and getting in front of the people you’re trying to attract. Whether this is a boosted post from your practice’s Facebook or paid ad that appears directly next to someone’s news feed, utilising the power of social media is a great way to get your business out there and will ensure that you’re front of mind the next time any particular potential patient is trying to figure out where they should go for their next annual check-up. It takes a little bit of an investment, but once you start to see the results you’ll agree it’s money well spent. If you’ve got a bit of a budget and you really want to see some strong results for your business, you may want to consider the potential of paid search advertising. For a premium, you can ensure your business is one of the top two or three links that appear at the top of any particular Google search. This is an effective method when used in connection with the others and it ensures you’ll be front of mind the moment a potential patient starts searching for the next medical practice they’ll go to. Paid search advertising does come at a cost, but it’s one of the most effective ways to draw new customers with a digital marketing strategy and can garner some very serious results.